Let your new hires get to know their teammates before they even start working together. Give them access to the apps they’ll use, documents they need to be familiar with, and additional information about the company. All delivered through a tailored mobile experience. Easily manage employees and control what they need to see from within one app. Stop using a workaround solution. Trello, Google Docs or email client were not designed to onboard your next talent. 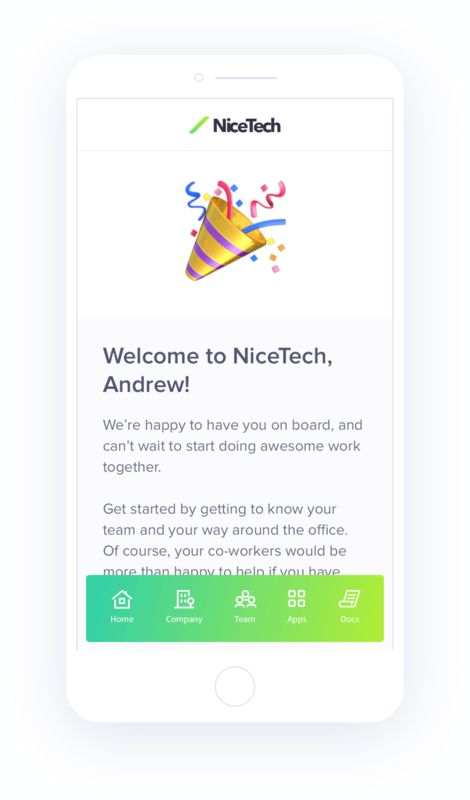 Make your new hire’s onboarding memorable with fun member profiles and mobile experience. Customize new hire's onboarding experience via an intuitive web app. Invite existing members to create fun personal profiles. Invite your new hire to the team they’ll be working with. Share information about your company: its story and values, perks and benefits, fun facts, and how great your office (or its abscence) is. Upload and provide access to documents relevant to a new employee’s role. 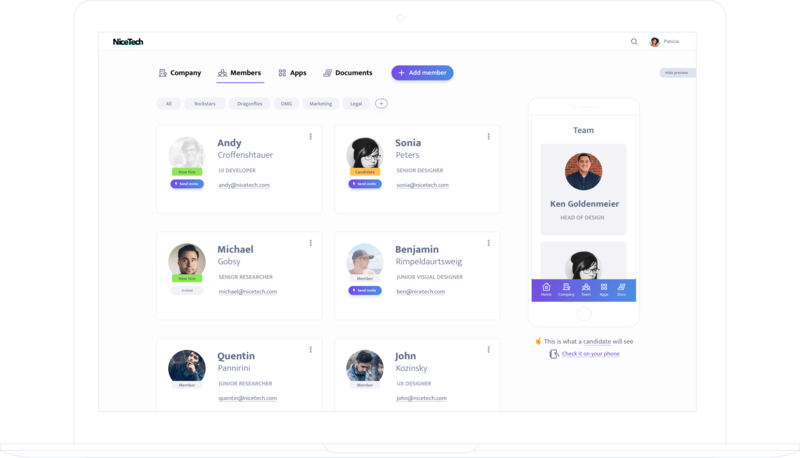 Directly connect your new or potential employees with the team they will be working with. Provide a new employee with a list of apps your company uses and access instructions. Check on your phone what a new hire will see. Bring member profiles from Slack to Uelco with a click of a button. If your needs exceed the plans above let us know and we will figure out what works best for you.